Apple has released the new firmware for iPhone/iPod touch which updates the baseband to 05.12.01 on iPhone 3GS, iPhone 3G, making it impossible for these two devices to get unlocked/jailbroken right now. Since Apple has fixed a lot of bugs and closed all the loopholes that were exploited to jailbreak/unlock its devices, iPhone 3G, iPhone 3GS, new versions of iPod touch 2G, and 3G models can’t be jailbroken yet. Fortunately iPhone 2G, and older version of iPod touch 2G and 1G users can use redsn0w 0.9.3 to jailbreak their devices on latest iPhone 3.1.3 firmware. Note: This guide is only for iPhone 2G, iPod touch 1G and older iPod touch 2G users who have atleast jailbroken their devices once. 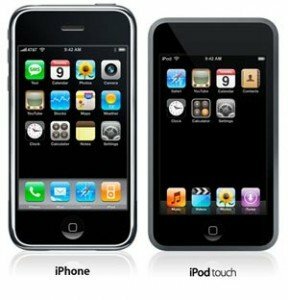 Jailbroken and unlocked iPhone 3GS, iPhone 3G, and iPod touch 3G, and new iPod touch 2G users should wait for new tools to jailbreak/unlock their device. Update to the original iPhone 3.1.3 firmware via iTunes. Start redsn0w 0.9.3 and browse it to original iPhone 3.1.2 firmware to proceed. This is required as redsn0w 0.9.3 can’t read or validate iPhone firmware 3.1.3. Now select both “Install Cydia” and “Unlock” options. Now make sure your device is OFF and plugged into your computer before you proceed or click “Next”. Now you will be presented with a screen where you will have to quickly hold “Power” button then while holding “Power” button, you will have to hold “Home” button.Now after few seconds, release “Power” button but keep holding “Home” button until installation begins. Now let the redsn0w do its work. After installation is finished, your iPhone/iPod will restart automatically and you will find it jailbroken and unlocked with iPhone firmware 3.1.3. This guide is for testing and educational purposes only. We won’t be responsible for any loss of important data or malfunctioning of your device. You have been warned!. If you have one of these devices, it is recommended that you stay away from this official iPhone OS update until new tools to unlock/jailbreak iPhone firmware 3.1.3 are released. Meanwhile you can read our guide to jailbreak iPhone 3.1.2 firmware. 2018 Apple MacBook Pro Refresh: Most Powerful Specs To Date, But Is It Worth It? Steam Link App Rejected By Apple, Will Apple Reconsider?